Doing a root touchup between colorings can sometimes have unexpected results. This is a guide about roots are too light. Two days ago I was doing my roots (No.9). I've been doing this for almost 2 years and the results have been wonderful. But this time I did something wrong. I left it for almost 45min. I usually have left it for 20-30 min. So now my roots are lighter than the rest of my hair. I am wondering if there is something I can do or if I can apply a darker shade (No.8) to even out my hair? I really appreciate your opinion and your help. I really need to do something fast. I look very funny and it is too light for me. 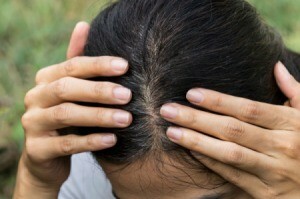 I would apply a semi permanent to the affected area as not to damage your hair. Just target that area, though. You can use a powder or spray root touch up in your desired shade. Deep condition weekly and try again in two weeks.